April 15 is a day that lives in infamy on most of our calendars. It evokes feelings of dread, panic and frustration, whether you’ve put off tax prep till the last minute, or you just know the government’s going to ask you for some extra money this year, or you simply hate paperwork and number-crunching. I may not be able to do much to ease the sting of actually filing your taxes (except to remind you to make sure you’re not overlooking any potential savings). But I can help you celebrate once the deed is done by letting you know about all of the tax day freebies out there that might help make April 15 a little bit easier and more enjoyable. Here are some of our favorite offers for free food, treats and deals on tax day. Take advantage of all of them and you could have quite a yummy and productive day — after you’ve hit “submit” on your tax return, that is. When you’re rushing to finish off your return, you might find yourself skipping a meal or forgetting to pack snacks. These restaurants are offering free food to make your day a little bit easier. California Tortilla will give you a free order of Chips and Queso (or salsa if you’re lactose-intolerant) if you say the phrase “Taxes Shmaxes” when you order. Hard Rock Cafe is running a “Sing For Your Supper” deal at participating locations. Sing your favorite tune on stage in front of a restaurant full of strangers, and you’ll get a free Local Legendary Burger. If you live happen to live near the Hard Rock Cafe in Hollywood, CA, you can earn a free burger between 5-7 pm if you’re willing to do some karaoke in front of Poison frontman Bret Michaels, who’ll also be performing a short set to start off the singfest. Why? Why the heck not?! Schlotsky’s wants you to Have a Lotz Better Tax Day, so they’re giving away one free small The Original sandwich with the purchase of a 32 oz. drink and a bag of chips. Great American Cookies is offering a free regular sugar cookie to every customer who stops by on April 15. Kona Ice trucks will be parked outside of post offices, tax prep centers and businesses across the country to celebrate “National Chill Out Day” by offering weary taxpayers a free cup of shaved ice and a Hawaiian lei. Participating Whole Foods stores will give you a free coffee at the coffee bar. Just head to the coffee bar in your local store to ask if they’re honoring the deal. Tony Roma’s is giving away a free Red Velvet Cake dessert. Eat in the restaurant on April 15, and you’ll get a coupon for this freebie. Join their email list and you’ll receive an emailed coupon on April 15, that’s good through April 29. If you’re in the Miami area, you may also see Tony Roma’s employees handing out free Red Velvet Cake desserts to people making a last-minute trip to the post office in the afternoon of April 15. Need to get rid of some old paperwork, but don’t want to just toss it in your recycling bin? Staples has a coupon for free paper shredding for up to five pounds of documents. Just head to their coupons page and scroll down to find the coupon, which is good through May 2. Got more than five pounds of paper to shred (or no Staples nearby)? Don’t think you’re out of luck. Office Depot is offering up to two pounds of free shedding through April 25 with this coupon. While these offers aren’t free, several restaurants are offering tax day deals on food and treats. Boston Market’s Buy One, Get One deal give you one Individual Meal, Whole Sandwich Combo, Salad Bowl or Market Bowl for $10.99 (get it?) plus a second meal of equal or lesser value for free. Bruegger’s Bagels is offering a Big Bagel Bundle (13 bagels plus two tubs of cream cheese) for $10.40. Sign up for their email club to receive the coupon, which is good from April 11 to April 15. Sonic cheeseburgers will be half-price all all day on April 15. Orange Leaf Frozen Yogurt will let you fill up on fro-yo and toppings (up to 16 oz.) for only $4.15 on tax day. You have to be a member of their Facebook fan page, however, so “like” them here and look for the coupon to be posted on April 15. Sonny’s BBQ is offering half-price rib dinners for its IRS: Irresistible Ribs Special. Beef O’ Brady’s will give you 15% off your bill on tax day, no coupon necessary. Grab this Outback Steakhouse coupon for 15% off your dinner check through May 3, 2015. 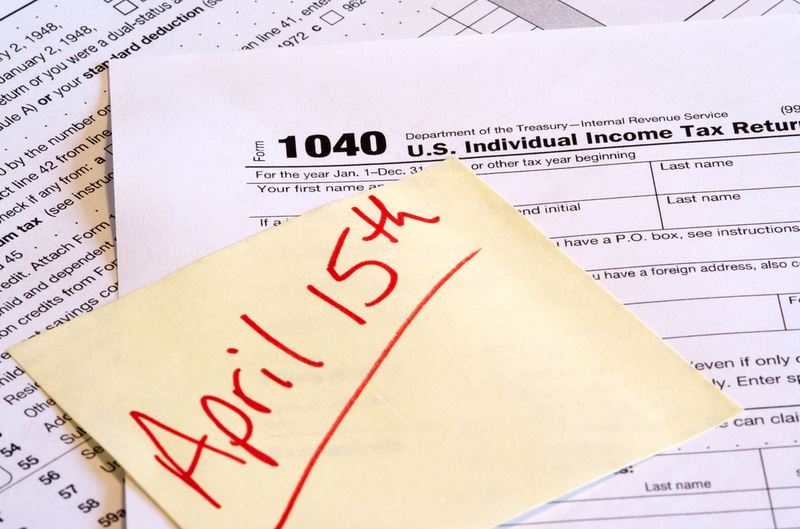 Your Turn: How many of these freebies do you plan on taking advantage of come tax day? Have you heard of any others?